Every Friday, Pacific Union will take a look at what’s new and notable in the Bay Area neighborhoods that constitute our neck of the woods. Here’s what we’ve got for the week ending March 30, 2012. Crisp Bake Shop opens this weekend in a newly redesigned Sonoma location that had been home to Artisan Bakery for quite some time. Look for locally inspired wedding cakes and incredibly executed treats like toffee with bacon bits, homemade marshmallows, and sandwich cookies. Yum! The traveling Marin kitty is still unclaimed! After hitching a hair-raising ride from Mill Valley to Santa Cruz curled up under the hood of a car, the feline passenger has been put up at the Marin Humane Society since last Sunday. If no one comes forward to claim her, she will be placed for adoption. Ready to swing like Frank, Sammy, and Dean? Test your luck tonight at the Napa Valley Opera House Casino Night Fundraiser, What Happens in Napa Stays in Napa! Guests are encouraged to don cool cocktail attire and enjoy gambling, food, wine, and bid on silent auction items. Proceeds benefit the Napa Valley Opera House. 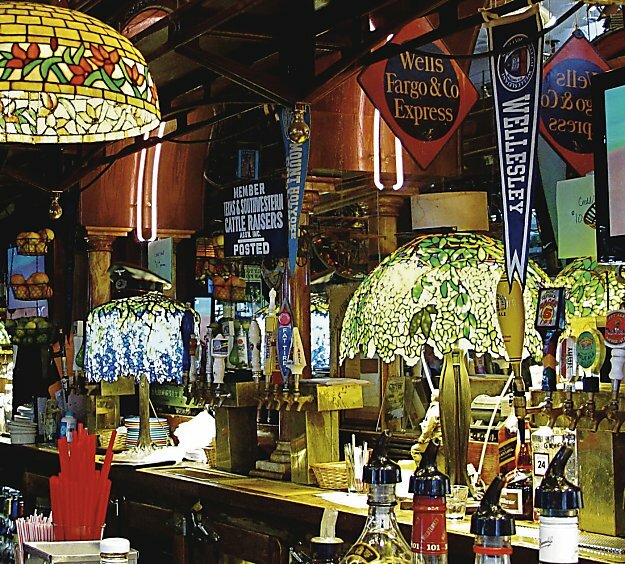 A collection of original Tiffany lamps from San Francisco pub Capt. Eddie Rickenbacker’s are heading to auction at Christie’s in New York. Though the lamps may have been overshadowed by the dozens of vintage motorcycles that hang from the ceiling, they were carefully selected by the discerning eye of owner Henry Africa and are thought to be worth a total of $2 million. While removing debris from Lake Merritt with her class on Thursday, a sixth-grader discovered sunken treasure instead. Instead of trash, the two heavy canvas bags pulled from the water revealed antique jewelery, gold and silver coins, pocket and wrist watches, and foreign coins.